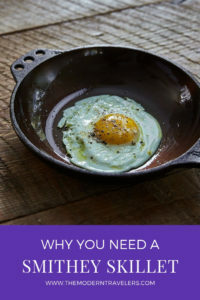 Did you know that there is an ideal egg pan that is non-stick and non-toxic? 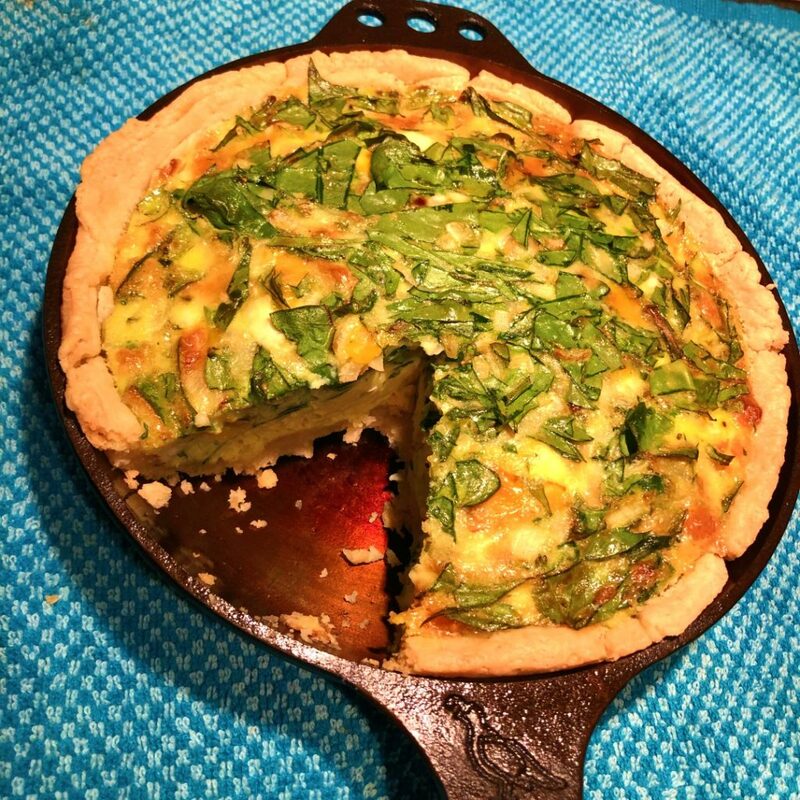 The Smithey Skillet No. 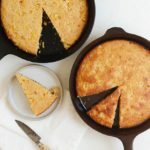 8 cast iron skillet is the ideal egg pan. What’s ideal? 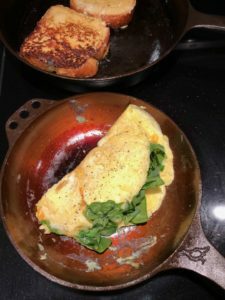 A pan that won’t leach dangerous chemicals into your food while allowing your eggs to slide around without sticking, a pan that is easy and pleasurable to handle, aesthetically pleasing, and indestructible. 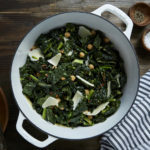 Doesn’t get more ideal than that, and this pan fits the bill. That curved interior even allows for flipping. 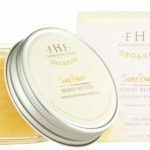 And it works just as well for pancakes as it does for eggs. 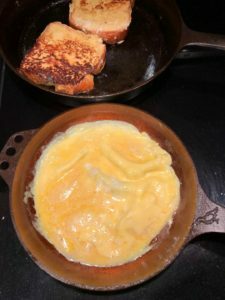 Eggs are notorious for sticking to any skillet, but after seasoning this pan, my eggs glide off this skillet like butter. 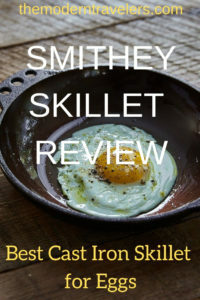 This Smithey Skillet has completely replaced my ceramic “non-stick” egg pan. That pan was frustrating because the non-stick feature is temporary and only lasts for the first two dozen or so uses. Even worse, I don’t trust that it’s safe. 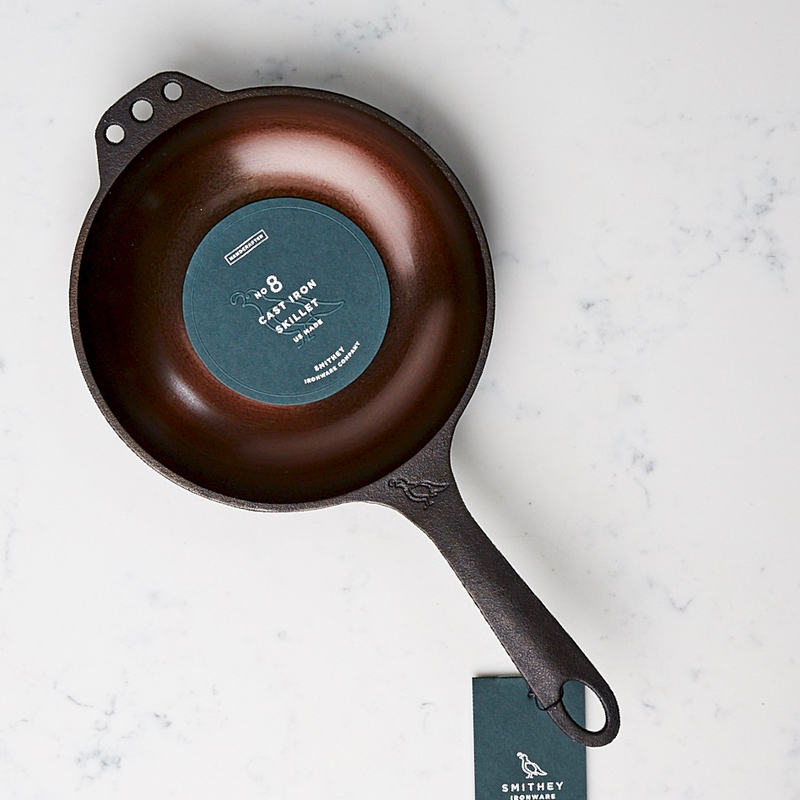 The Smithey Skillet No. 8 is an essential for any egg-cooking modern kitchen. 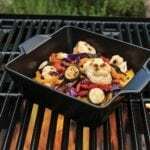 I’ve wished for a pan like this for so long, I’m thrilled that it’s finally a real thing. 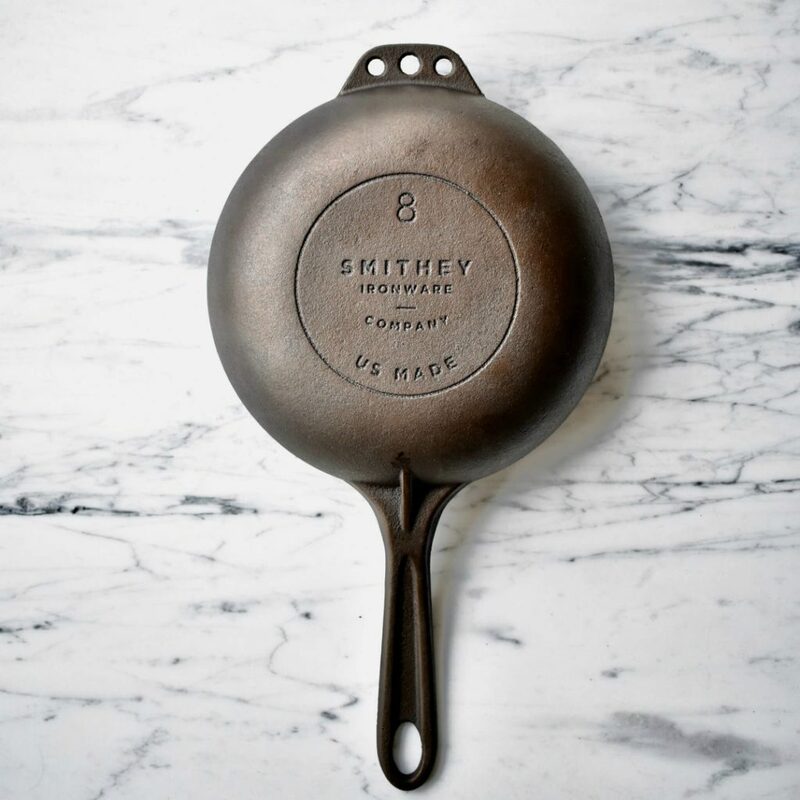 Smithey is a new company, it began in 2015 after the founder grew his love of vintage skillet restoration into a business. Now Smithey creates these timeless pieces with a modern spin. 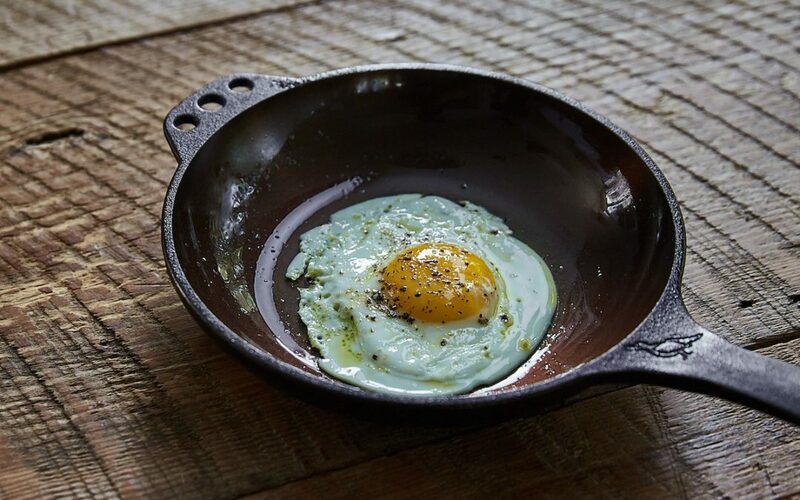 Besides being perfect for eggs, this pan is awesome for one or two-person cooking. If I’m just whipping up a quick stirfry for myself, this is the pan I reach for. Any time I’m cooking for one, this is the go-to pan. 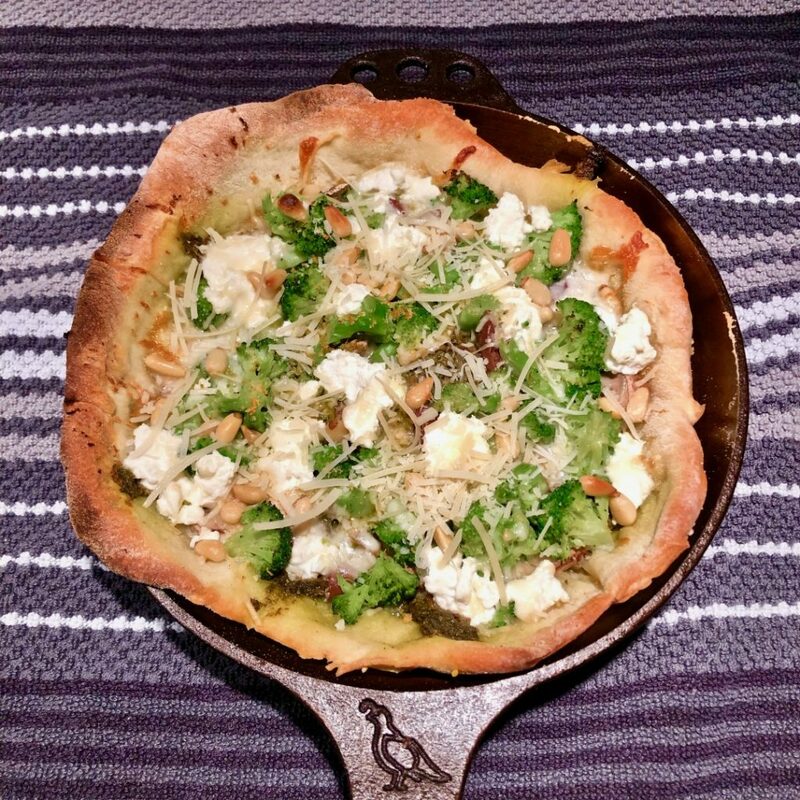 I’ve made Quiche for two, Marionberry Galette, and my own personal pan pizza. 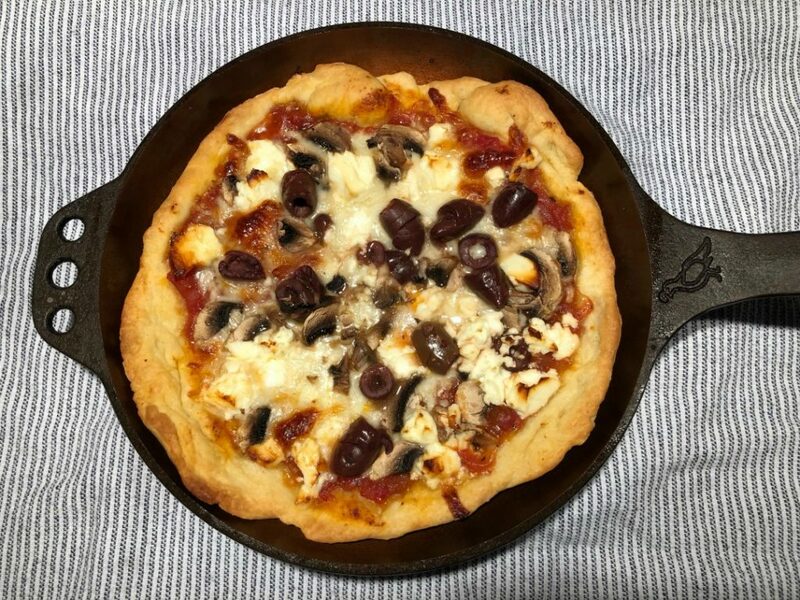 When you’re making skillet pizza and want to get creative and try new things, it’s nice to experiment with this size. I’ve tried all sorts of combos. It’s pretty non-committal making a pizza this small, so it gives you freedom to experiment. I even made a marionberry pizza with ricotta and basil. Obviously it was so delicious we ate it before remembering to take pictures. This is my third skillet. I have a 10-inch, a 9-inch and now an 8-inch. They all nest together for storage, and they all serve their own purpose. 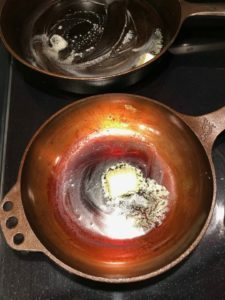 I think it’s a great idea to have a few skillets in different sizes, that way you always have the appropriate volume for what you are trying to prepare. 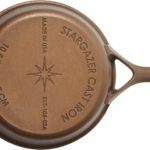 I’ve never seen a curved skillet like this before, it’s as functional as it is beautiful. 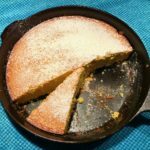 Once you start cooking with cast iron, your food improves so much you wonder how you ever cooked without it. Major upgrade with high returns. 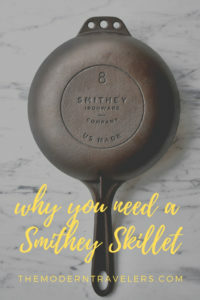 Get your own Smithey Skillet HERE.